WASHINGTON — With students returning back to school in the region, transportation advocates are reminding drivers to be extra careful. In 2013, more than 330 child pedestrians died and another 13,000 were injured while going to or from school. Over the last decade, about one-third of the children were killed between 3 p.m. and 7 p.m.
“That’s when they’re walking home from school. That’s when they’re heading to the playground or library. That’s when they’re waiting at the bus stop for their parents to pick them up,” says Manager of Public and Government Affairs at AAA mid-Atlantic John Townsend. Slow down. School zone speed limits are much lower than other parts of the road. In Maryland and D.C., speed cameras are permitted in school zones. “These speed cameras work wonders in school zones. It’s an ideal place to put them because research shows that within six to eight months after such a camera is placed in school zone, the number of speeding incidents drop between 60 and 80 percent,” says Townsend. Eliminate distractions. Both distracted driving and distracted walking with people on their smartphones are a growing problem across the country. Reverse responsibly. Remember that every vehicle has blind spots, so remember to check for children and back up slowly. Talk to teen drivers. Car crashes are the leading cause of death for teens in the United States. More than one-quarter of fatal crashes involving teen drivers occur during the same 3 p.m. to 7 p.m. time period, according to AAA. “You have to talk to your kids about the birds and the bee and about safe driving. Parents are uncomfortable talking about both topics. But you have to do it because the next time you give your keys to your teen may be the last time you see him or her alive,” says Townsend. Come to a complete stop at stop signs. AAA reports that one-third of drivers roll through stop signs in school zones or neighborhoods. 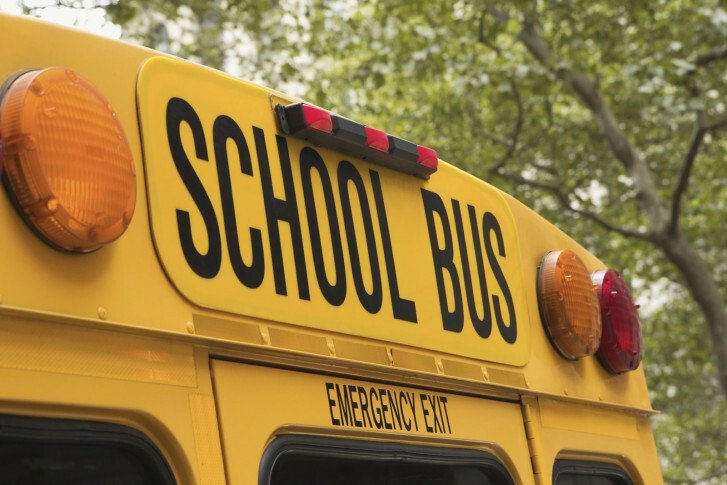 While AAA mid-Atlantic has been critical about red-light cameras ticketing drivers for rolling right turns, it supports cracking down on rolling stops in school zones. D.C. has stop-sign cameras near schools that can ticket you for not stopping completely at the stop sign. “If you’re rolling through a stop sign, chances are you haven’t seen the kid because of his or her height and weight. In school zones, rolling stops need to be outlawed,” says Townsend. Watch out for bicycles. Particularly in places such as D.C., Arlington, Alexandria, Montgomery and Prince George’s counties where bicyclists have grown in number with the advent of Capital BikeShare. “Slow down and allow at least 3 feet of passing distance. It’s especially true for children who might not be as accustomed to riding a bike,” says Townsend. Never drive around a stopped school bus. Arlington, Falls Church, Montgomery County and Prince George’s counties have equipped some buses with cameras that can ticket drivers for illegally passing a bus. The fine could be up to $250.